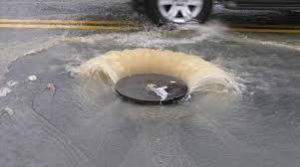 Recent rain causing homes to flood, road closures and power outages, rivers and lakes are getting terribly polluted due to “combined sewer overflow” discharge. Within the first few weeks of May this year, the Ottawa River absorbed more than 600 million litres of untreated sewage, according to the City of Ottawa. The city’s sewer pipes built in the 1960s were just not able to cope with the amount of rainfall. To protect both the river and the public, the City of Ottawa is working on the Ottawa River Action Plan, (ORAP), measuring, monitoring and improving wastewater treatment. ORAP will also educate the public about the problems of combined sewage outflows and offer solutions to individuals on how to reduce their impact on local waterways. 100 year rain events are becoming more frequent. Grey infrastructure is old and cannot cope with the onslaught, polluting our waterways. After heavy rains, before you boat, fish or swim, check our map. Last week, in nearby Kingston, the city unveiled a real-time sewage overflow monitoring and notification website showing the location of outflow pipes, when sewage is being discharged, and exactly how much. It’s part of Kingston’s “Know Before You Go” system and includes a Swim Guide for local beaches as well as a historical log of sewage overflows. According to recent media, and testing by The Toronto and Region Conservation Authority (TRCA) and Lake Ontario Waterkeepers (LOW) stormwater routinely impacts Lake Ontario by transporting E.coli and other sediments making it unsafe to swim, and enjoy the water in and around Toronto. 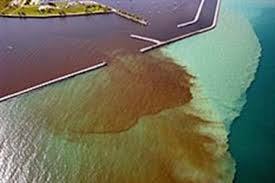 Stormwater discharge causes high levels of e.coli in our lakes. According to the 2016 Canadian Infrastructure Report Card, 23 per cent of our stormwater infrastructure is in fair to very poor condition. 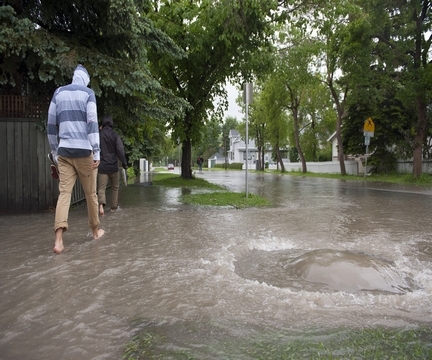 Recent flooding of many communities from the West coast to the East coast, and many in between, is proof that the 100-year-storms are becoming more frequent and stormwater management must become a priorty. As the federal government plans to invest billions in new infrastructure projects we hope green infrastructure is a part of that solution.